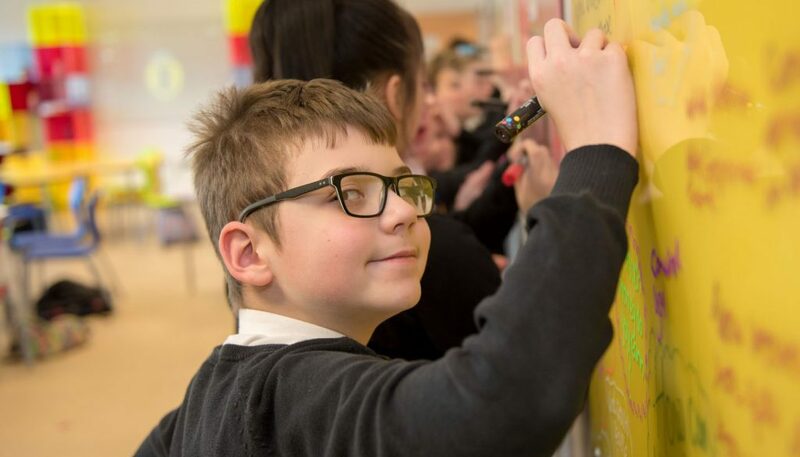 Pupil participation across Wales is embedded into everyday school life, with nearly all secondary schools in Wales having a school council. 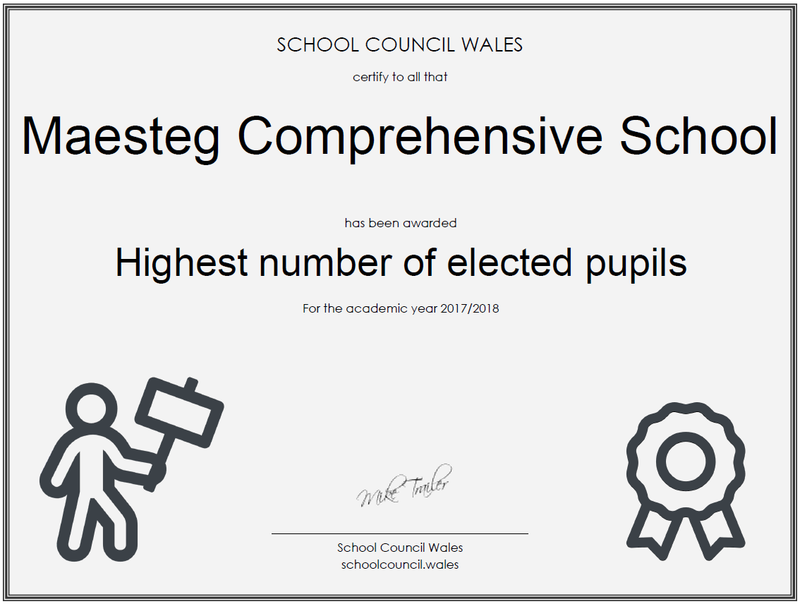 Out of an available 97,937 pupils in Wales, there were 2,552 students elected to the school council in 2017/2018 (2.6%). The number elected varied from school to school with the average being 24 students per school council. On average there were 932 pupils enrolled in every school with an average percentage elected at 2.5%. Since 2006, school councils have been a statutory requirement and at Maesteg School, we continue to promote the importance of pupil voice, with the School Parliament a vital part of the school body. With this in mind, it is a great honour to be recognised by Cynghorau Ysgol Cymru / School Council Wales who have awarded us with the Highest number of elected pupils, because of our 104 representatives. Pupil participation is at our core, with key decisions about the future of Maesteg School being looked at in our School parliament. Deputy Headteacher, Dr Dale Duddridge took to Twitter to share his joy at the award. If you would like to read the full report by Cynghorau Ysgol Cymru / School Council Wales, then you can read the PDF copy here. Congratulations to all our parliament members, for their dedication to the cause and their vision for the future of Maesteg School.